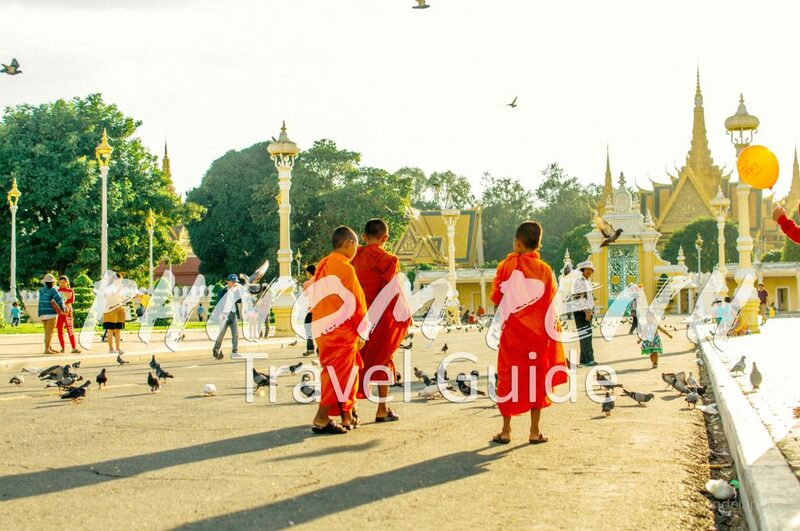 Many travelers ignore Cambodia’s capital city when traveling to or from Saigon to Siem Reap. 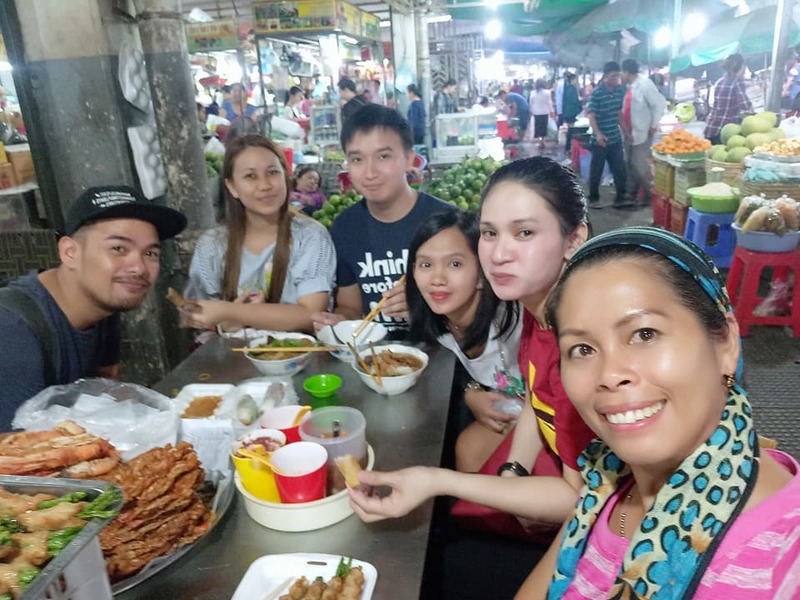 Most would say that there’s nothing to see in Phnom Penh so they just skip it on their itineraries not even doing a pit stop for a night! 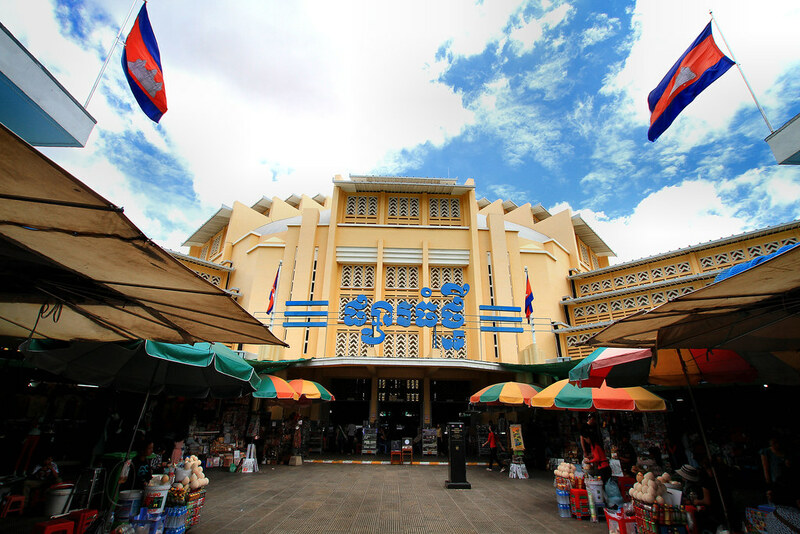 Unknown to many, Phnom Penh actually holds a lot of Cambodia’s history, specially its most recent events. 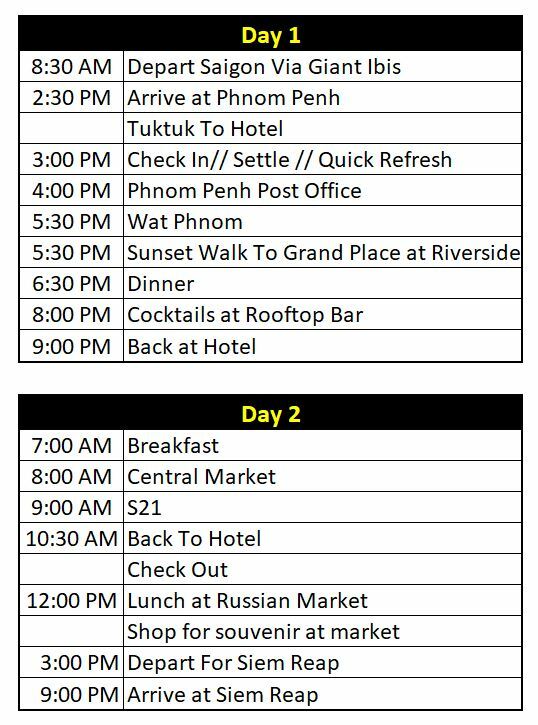 So I’ve came up with most information that I can so can get to see a bit of Phnom Penh when you decide to stop for a night or two. 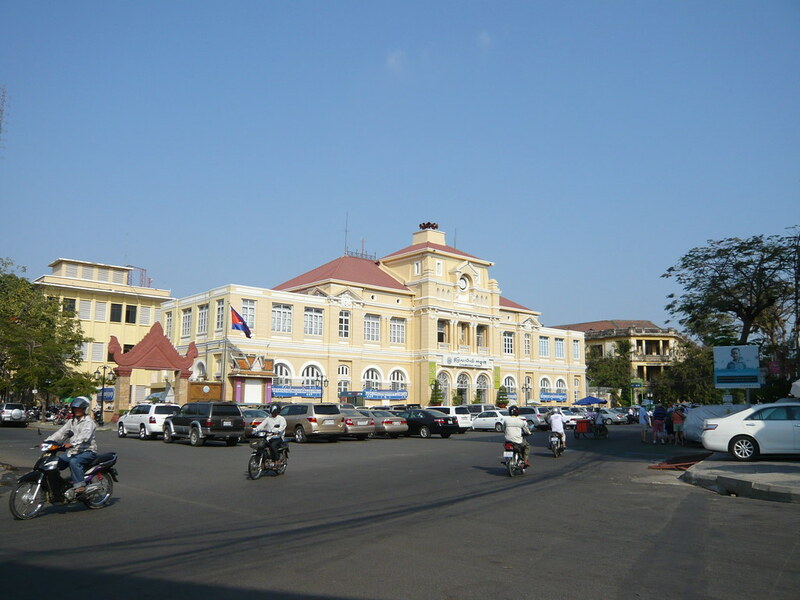 They say that this is where the entire city of Phnom Penh was founded when a temple was erected by madame Phnom. There’s actually an interesting story about it and how it became the heart of the city. One of the buildings left built during the colonial French times. Mail your post cards from here to your friends and love ones back to your home country! 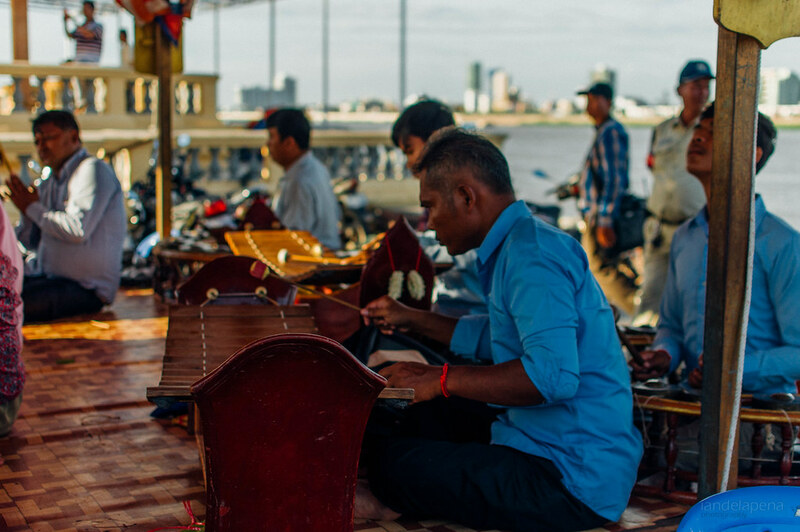 Walk along the promenade leading to where the Grand Palace is and where the Tonle Sap river and Mekong River meets. 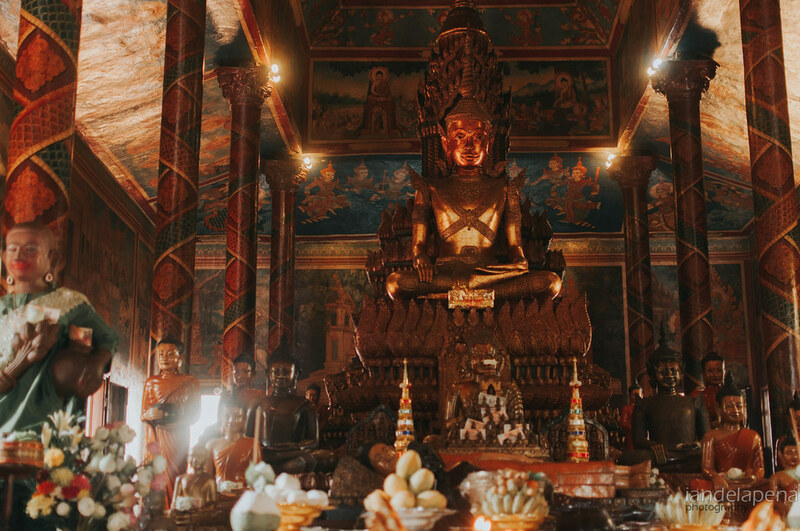 There’s a couple of shrines right across the Grand Palace and if you are lucky, you can catch local musicians indigenous instruments. You can also stand in front of your country’s flag flying proud along the river walk along with all the nations. 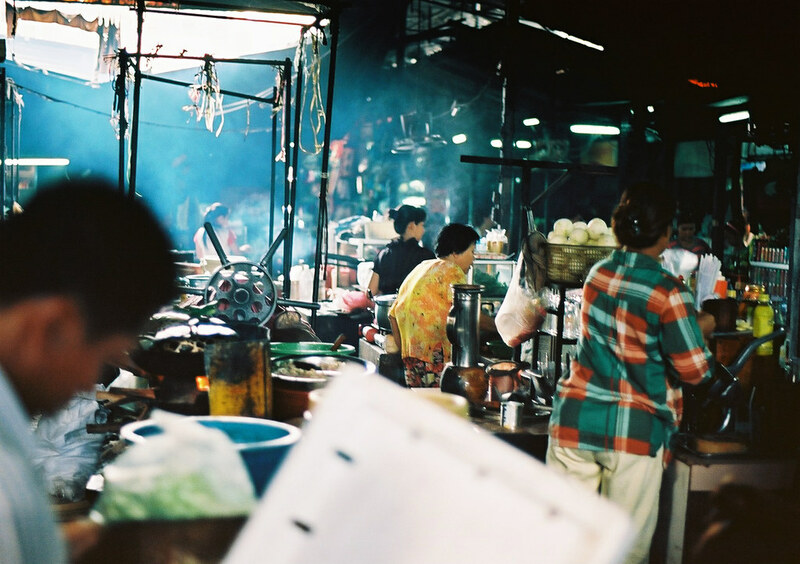 Find street foods and snacks while looking at Central Market’s awesome architechture. While it is nice to visit, prices here are quite jacked up for the common tourist. 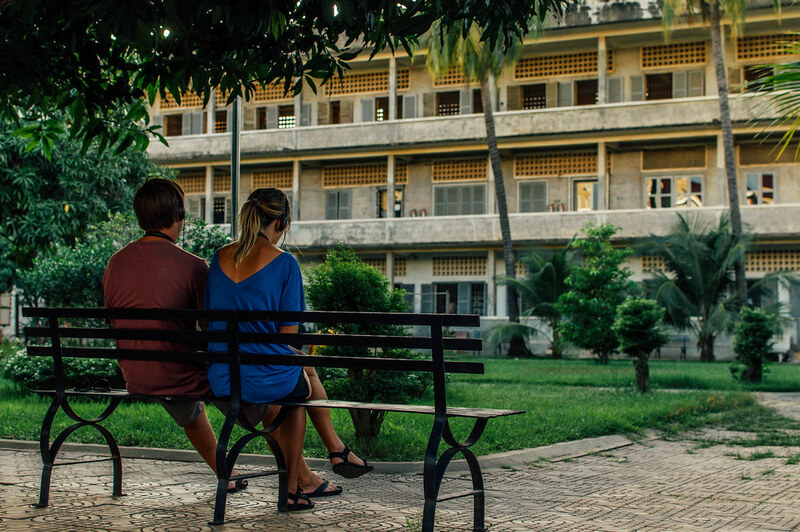 One of the many former concentration camps established by the Khmer Rouge, this former high school is now a museum that serves as a reminder of the dark past of Cambodia. 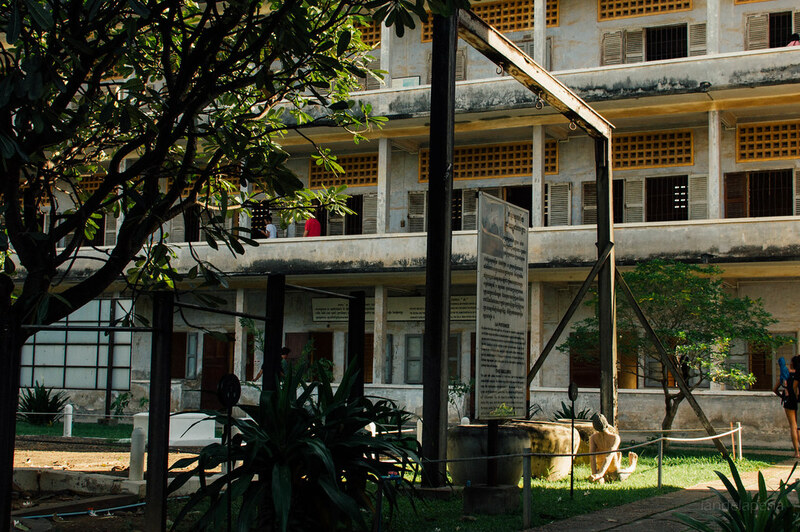 When visiting, it is best to rent an audio guide that will walk you through the halls of the museum with stories from the Khmer Rouge era. 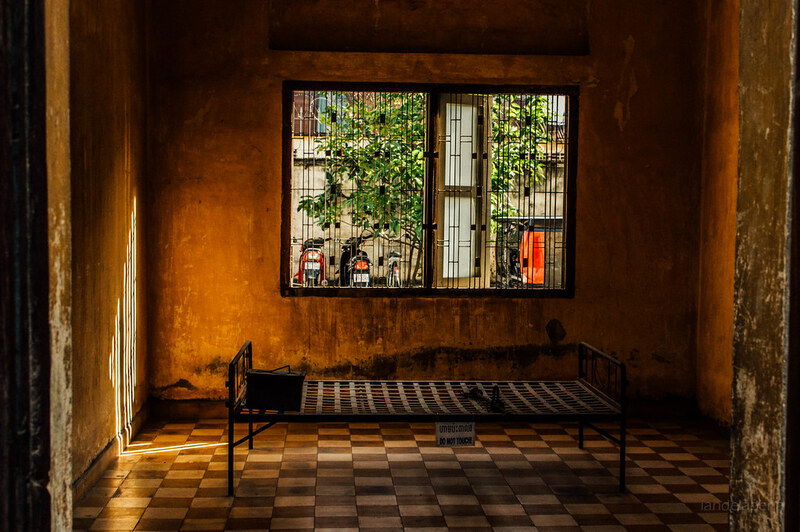 A few kilometers off of Phnom Penh, a grave site was found where people have been murdered and buried during the Khmer Rouge era. 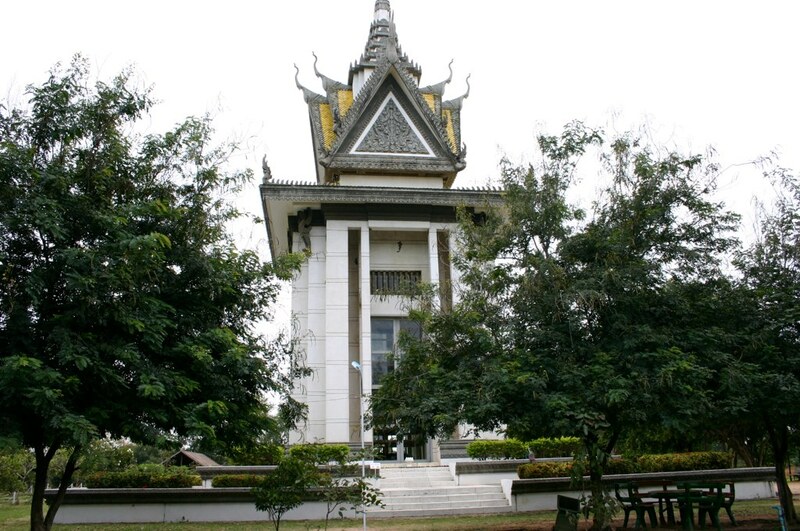 The Killing Fields is a huge place with a tower housing some of the bones discovered. It is believed that there are more remains that is to discovered in this place. I do not strongly recommend visiting both (S21 being the other) in a day as they have really dark stories. For me visiting one is enough (with S21 as my choice since it is in the city proper). However, if you choose to visit this make sure to rent an audio guide to help you walk through the site. 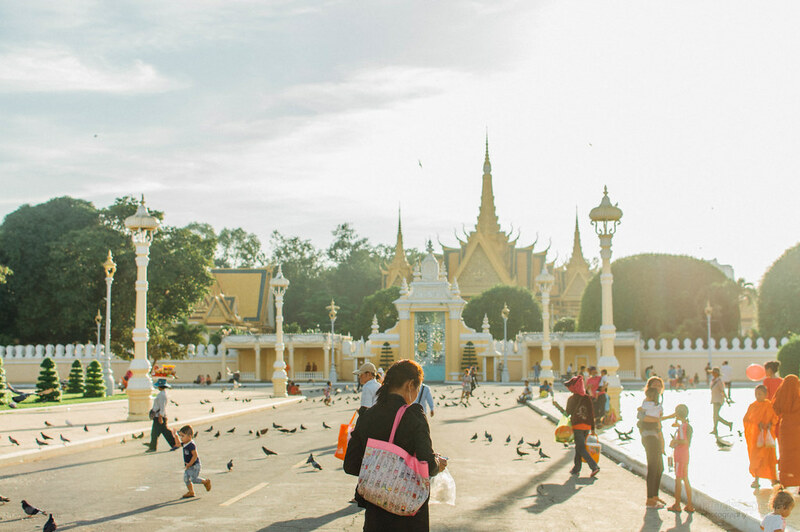 Known for the Silver Pagoda, the Grand Palace is Cambodia’s current monarch’s residence. The entrance fee for this is reportedly at $10 ( yes you can pay in USD). I decided not to go inside anymore because…. honestly, I didn’t think it was worth it specially that its price is as much as the Royal Palace in Bangkok which is far more extravagant. Not bashing the the Cambodian Palace here, I just want to spend my money where I see more value. I am not that rich. Probably my favorite hostel in Phnom Penh. 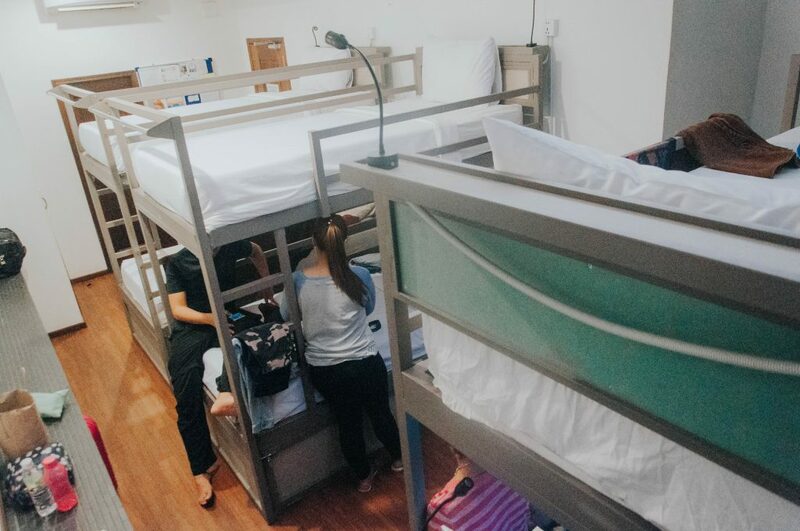 This hostel has a hotel feel. The pool is perfect for when you travel in a hot summer’s day. The hostel is also located near food options that open really early in the morning and closes late at night. The best part of it is that their dorm rooms only cost $5 when I booked them! 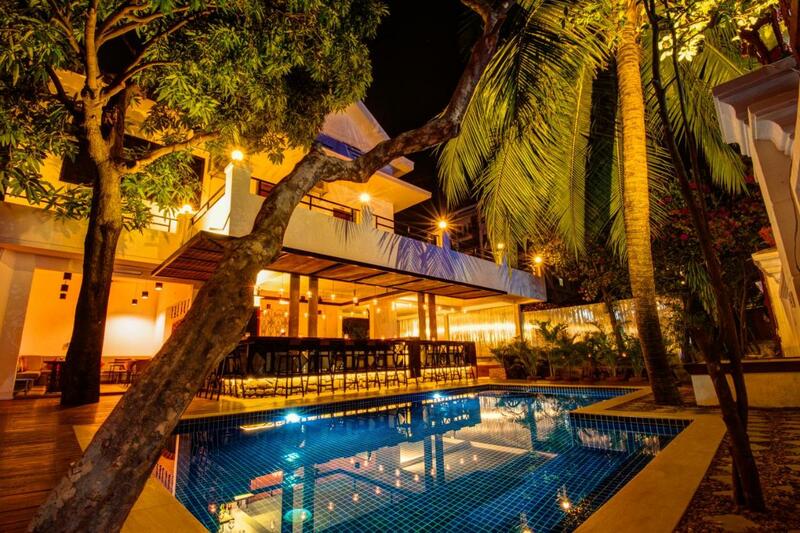 Another hostel that I think is worth considering is Base Villa. 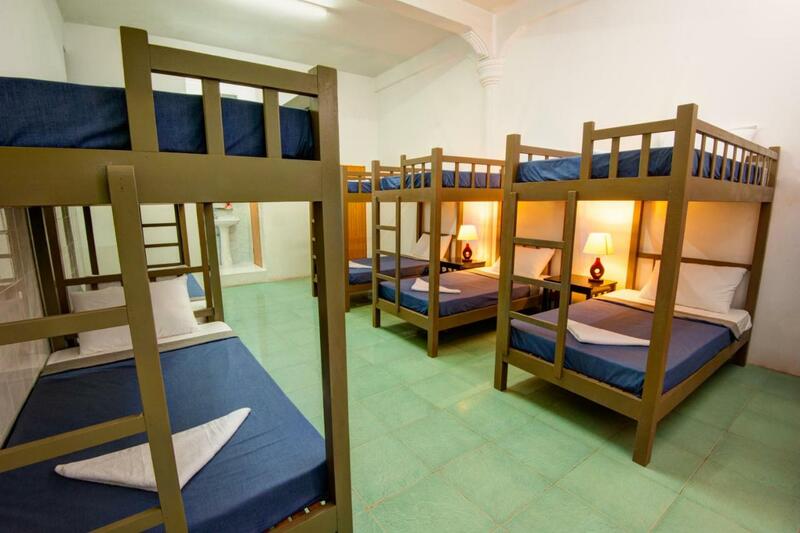 I found this hostel while looking for a different hostel on my upcoming trip to the Indochina region. The hostel has a swimming pool (value added amenity I always look for) and cheap beds at $5 per person. They also have good reviews in Booking.com which I trust mostly when it comes to backpacker experiences. 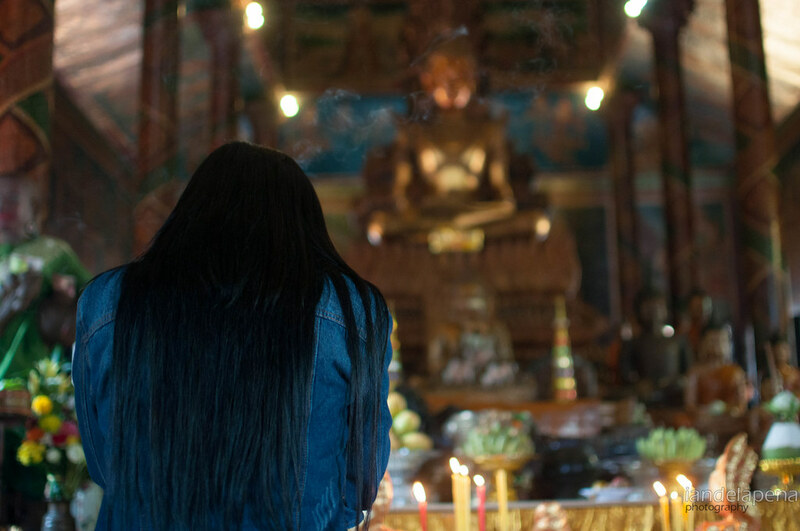 Here’s a quick Itinerary to give you a glimpse of Cambodia’s capital city. You may notice that I didn’t include some of the places/activities here. 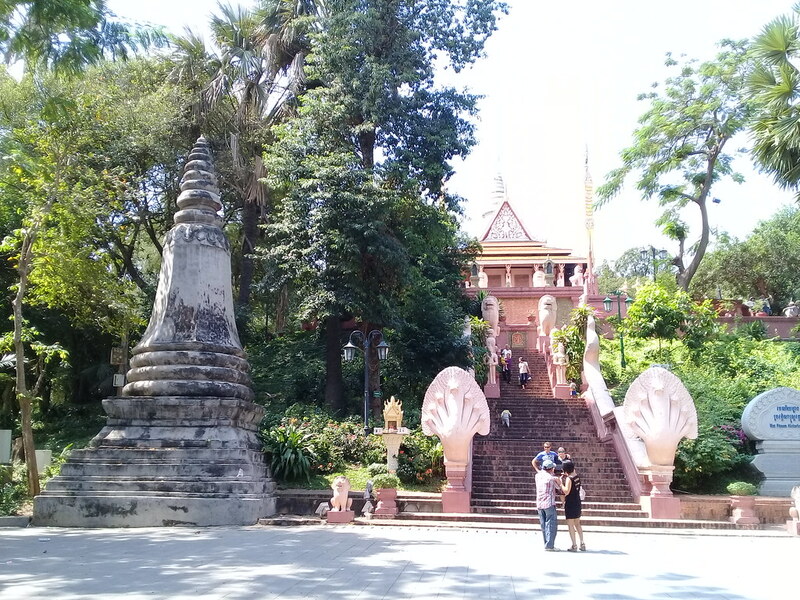 I think these are the bare essentials that you must try if you have a really short time to spend in Phnom Penh. I’d rather go to the S21 than spend more time traveling to the Killing Fields. I also wouldn’t do both s21 and the Killing Fields in the same day coz it’s just too depressing. You can also see that I included Giant Ibis on the itinerary. No this is not a paid post. I’ve experienced both Mekong Express and Giant Ibis going to the from Ho Chi Minh or Phnom Pneh and I was disappointed with Mekong Delta. I don’t care what western people say about how good Mekong Express is, for me as an Asian I’d rather be with Giant Ibis. It’s a bit more expensive but it’s worth it. Now if you are coming from Bangkok, you can take either Virak Buntham if you are on a budget (they’re not bad at all) or if you have some more cash to burn take Giant Ibis. 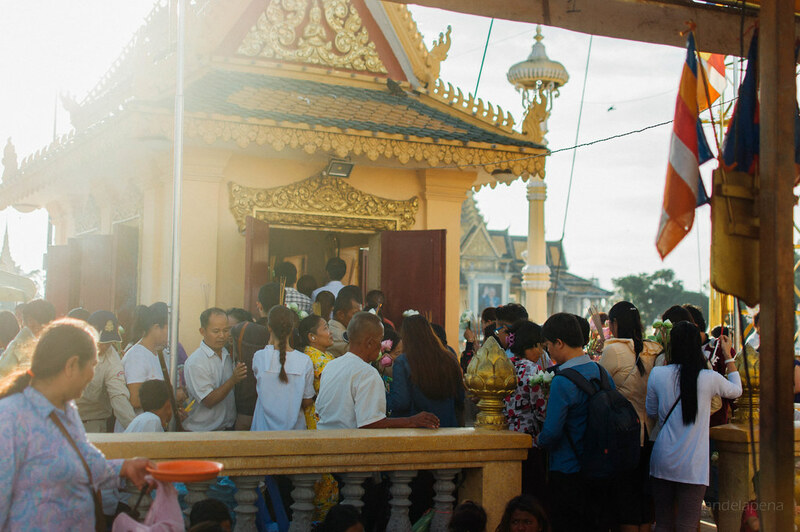 Departure time from Phnom Penh to Ho Siem Reap is actually at your own disposal. There are buses leaving later during the day. I personally prefer using Virak Buntham when traveling around Cambodia. But for times that you want to travel and there are no scheduled departures, there’s always Larytta. If you are bound to Ho Chi Minh, take the early morning bus, you’d have to go through immigration so you have limited options here. When I get the opportunity, I always tell people who ask for advise to make a stop in Phnom Penh. 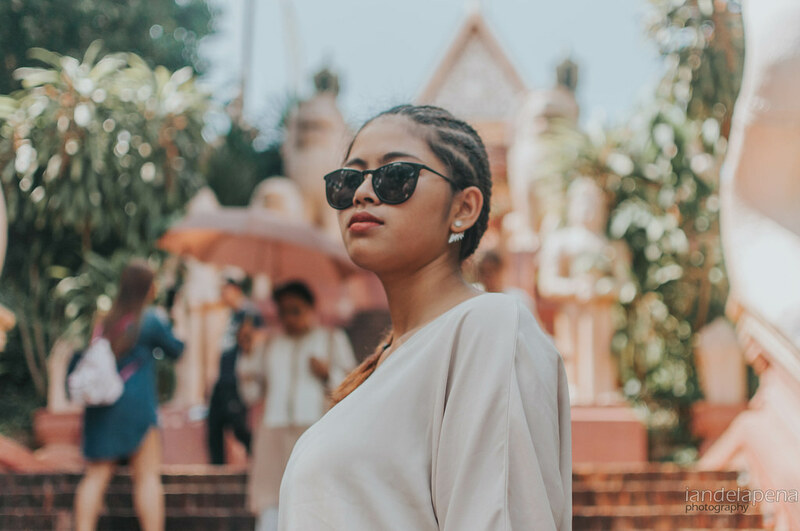 This city isn’t something that you would go out of your way just to visit like Siem Reap, Bangkok or Saigon. That is why you should at least give it a day or two to see the city. Make it a pit stop on your way in between countries.